Business Drive Direct is a new service supporting fleet and business customers via a new call centre launched by Toyota Financial Services. The aim of the free service is to offer business customers a prompt and simply experience that not only manages all aspects of vehicle sales, contract hire and finance, but also provides an introduction to services provided by the customer’s local retailer. Toyota has put together a team who will work with customers to identify the vehicles and finance packages that best suit their needs and budgets, the carmaker said. Once an order has been placed delivery to their local retailer will be complete, in line with Toyota’s announcement to introduce fleet deliveries to dealerships last year. Customers will then be encouraged to build a working relationship with the retailer, which the company hopes will ensure a quality after sales service. Toyota says each customer will be looked after by a dedicated account manager who will remain their point of contact throughout the process. Eamonn Warters, director of sales and marketing programmes for Toyota Financial Services said: “We are able to go beyond supporting our business and fleet customers with their vehicle purchases to help them form a strong relationship with their retailer, right from the outset. 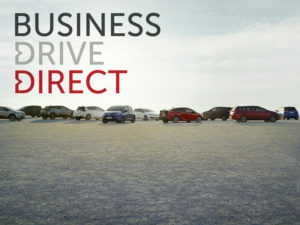 To find out more about the Business Drive Direct and the current contract hire offers visit Toyota’s dedicated site here. The call centre’s operations will be extended later in February to provide similar services for Lexus customers.